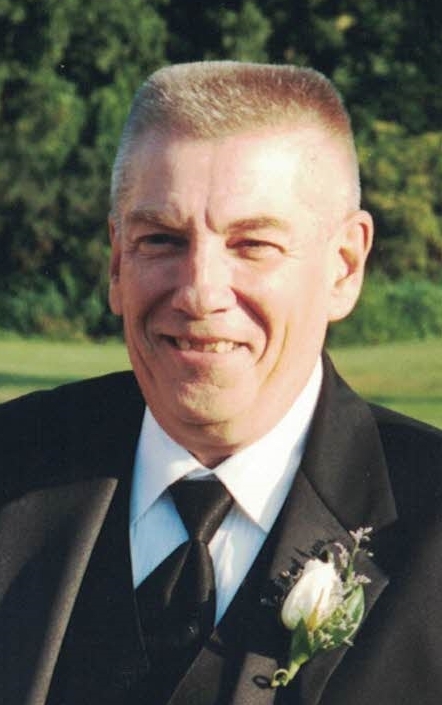 Salem- Ronald Francis Meaney 71, of Salem passed Tuesday evening, October 10, 2017 at Danvers Twin Oaks following a lengthy illness. He was the husband of Arlene Meaney of Salem. Born in Salem, Ronald was the son of the late Joseph M. and Sophie J. (Osiecka) Meaney. Ronald served his country in the Army National Guard for six years before being honorably discharged in 1971. Ronald worked for many years with Smurfit-Stone Container as a corrugator. Along with his wife, Arlene (Tarnowski) Meaney of Salem, MA, Ronald is survived by his two sons, Michael R. Meaney and his wife Jennifer of Crawfordville, FL, and Stephen D. Meaney of Salem, MA; a brother Richard Meaney of NH; and a sister Kathleen Nordstrom of Salem, MA. Relatives and friends are invited to visiting hours in the Berube & Sons Funeral Home, 191 Lafayette St. Salem MA, Tuesday from 4-7pm. A private funeral service will be held at a later date. In lieu of flowers donations may be made in Ronald's name to Care Dimensions, 75 Sylvan St. Suite B-102 Danvers, MA 01923. To send a condolence to the family please visit www.BerubeFuneralHome.com.